What’s the best way to warm a small studio? 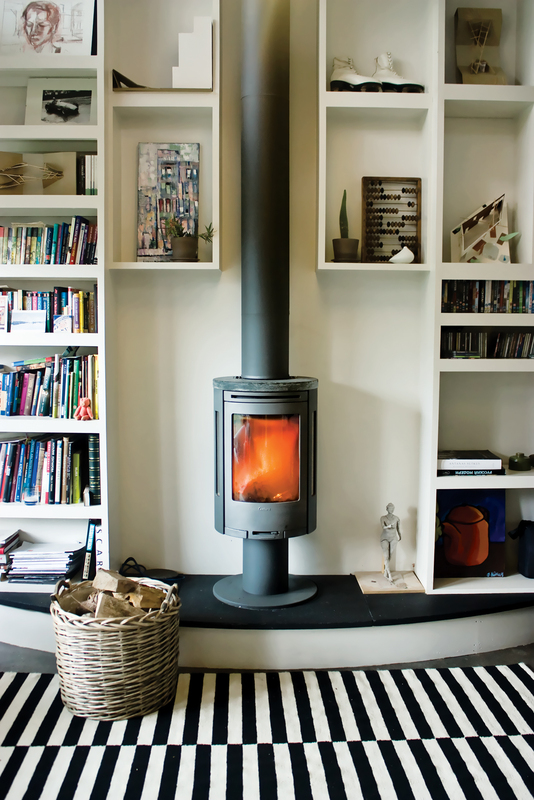 Ekaterina Voronova opted for a compact wood-burning stove to keep her space cozy. Ekaterina Voronova’s living and work­ing spaces collide in a 215-square-foot studio behind her home in Dun Laoghaire, a seaside town just outside Dublin, Ireland. The Moscow-born architect built the double-height haven as a place to draw and construct arch­itectural models, but it has evolved into a more social retreat, hosting family movie nights and out-of-town guests. A traditional wood-burner, designed by the seasonally savvy Swedes at stove manufacturer Contura, makes the frosty months bearable—-and provides a year-round focal point. “It’s been absolutely great,” Voronova says. “Good looking, easy to control, very economical, and environmentally friendly, too!” Proof positive that it’s not the size of the space that counts, it’s how you choose to heat it.